Do you remember how nerve-wracking your first day of school was? Every year for 12 or 13 years you probably walked through the doors of your school in new clothes, with a backpack full of crisp notebooks and freshly sharpened pencils. No matter what grade you were in, that first day was always nerve-wracking. I don’t know about you, but at almost 30, I still have nightmares about my first day of school. When I walked into my first yoga class, I felt like it was my first day of high school. The beginning of class reminded me of the dreaded lunch time experience, where your friends were nowhere to be found and you had to start eating alone. If you’re avoiding yoga because you’re nervous about attending a class or you can’t shake that “first day of school” feeling, hopefully this guide can help you get your booty into a yoga class with confidence and enthusiasm. I could tell you, “You have to do yoga for all of these reasons,” but that’s pretty pushy and that’s not what yoga is about. I can, however, share with you why you should try yoga. Obviously I’m in love with yoga, mainly because developing a practice is so good for your body and mind! It isn’t every day you get to be a beginner. Practicing yoga can be initially frustrating because you don’t know all of the poses. Or maybe you’re not strong enough to hold an arm balance, but this period passes because of the excitement that comes with learning new poses. Enjoy the challenge of working on new sequences and improving with every yoga practice you do! Yes, there is more than one type of yoga! In fact, there are lots of different types. What type you choose really depends on the studios you have in your area or what you want to get out of your practice. Finding a studio where you feel connected and confident is much more meaningful than finding one that seems elite or especially yogic. Another thing you should think about is whether or not you should attend a yoga studio instead of sticking to a home practice.​ There are several benefits to joining a class at your local yoga studio over practicing by yourself. ​Not every pose has to be advanced, because every yoga pose is truly accessible to every student, regardless of how long you’ve been practicing. However, if you’re simply going off of books or printouts from the internet, you can’t possibly know of the best ways to safely modify your poses for your current ability. The yoga community is a wonderful place where people from all walks of life are seeking peace, relaxation, or fitness. Regardless of your and your classmates’ backgrounds, you’re going to find a community of people who are open-minded, non-judgemental, and generally positive. If you do yoga regularly, your practice will become more advanced every time you roll out your mat. However, you can certainly improve your practice by leaps and bounds when you practice under the guidance of an experienced instructor. Now you know the “whys” of going to a yoga studio, but the “how” is a bit trickier to execute. Google might seem tried and true, but there’s no replacement for going to a studio and actually giving it a try. Most studios offer at least one free class, but the majority of them will offer you a free trial week so you can decide if their community is really right for you. I fell in love with my current studio as soon as I walked in the door, but I also knew ten minutes into class at another studio that it was the worst possible fit for me. I honestly thought the studio I hated would have been “The One”, but it absolutely wasn’t. I wouldn’t have known this unless I had given both studios a try. Before you ultimately decide on a studio, determine what makes a studio feel like home. Are you considering the community? There are studios that offer lunches, satsangs, and book clubs to make the students feel like they’re part of a family. Do you have a hectic schedule? Smaller studios offer fewer classes and many of them may be in the morning or afternoon, when you’re at work or have to pick up your kids. Larger studios offer classes in the evenings, so take a look at the schedule before settling. As a beginner, it’s ideal to find a studio that offers beginner classes. I started at a very beginner-friendly studio and it helped my practice blossom! I did eventually outgrow their classes though, so keep that in mind if the majority of their offerings are tailored for beginners or intermediate students. If there is no yoga studio in your area you can try online yoga studios like Grokker. In my experience, if you know absolutely nothing about yoga, going into your first class semi-familiar with the sun salutations makes it so much easier to catch on to the other poses. Once I picked up on the sun salutes, I was able to keep up with the class and not feel like I was lost in a foreign country. Knowing the sun salutes doesn’t just give you the benefit of keeping up with your instructor and peers, either. A group of men and women were given the task of doing 24 sun salutations every day, six days a week for 24 weeks. Their strength, endurance, and body composition were measured before and after the 24 week study, and at the end there were dramatic differences. Not only will a proficiency in sun salutations make your first few classes less stressful, especially if you’re doing a vinyasa flow class, it will also give you the necessary strength and endurance to get you through an entire yoga class. The number one thing you need as a yoga student is a good mat. Not only does your mat provide cushioning for your joints, it provides grip and stability, both of which are integral in preventing injury and helping maintain your balance. There’s a ton of yoga mats on the market to match all budgets, and in the end it really depends on what you’re looking for. You’ll be more comfortable if your shirt fits snugly enough to keep it from riding up in the down dog position. If you’re taking heated classes, opt for clothes that wick sweat and moisture (i.e. skip cotton and polyester). Make sure your pants fit well, because if they’re too big you’re going to spend a lot of time yanking your drawers up. There’s no need to drop hundreds of dollars on expensive clothes. Cute clothes are fun, but no one in your yoga class is going to judge you if you aren’t decked out head-to-toe in Lululemon. As a novice, straps are incredibly useful for maintaining proper alignment in chaturanga until you’ve built the necessary strength to maintain it strap-free, but they’re also great for making yin and restorative poses more juicy. In terms of yoga towels, there are two types: hand towels and mat towels. The hand towel is exactly what it sounds like, a small towel you use to mop away perspiration during class. A mat towel is a cloth the exact size of your mat, which is placed on top to keep your hands and feet from slipping during heated classes. 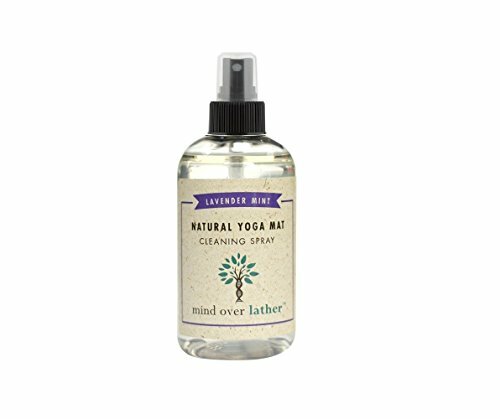 Neither of these are necessary unless you sweat a lot or if you’re taking hot yoga classes. 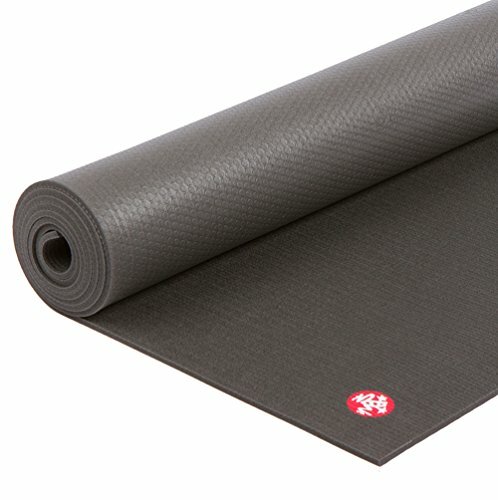 The mat towel keeps your mat from turning into a skating rink, so you’re able to maintain your balance and hold your poses as long as necessary. Perhaps these tips are common sense in terms of beginning a yoga practice, but the biggest piece of the puzzle is simply working up the nerve and believing you can do yoga. Finding the right studio, learning the poses, and developing a love affair with the mat you choose is just the tip of the iceberg! Remember that every yoga student was a beginner at one time, so don’t let your teachers’ or your classmate’s experiences scare you away. Take a deep breath, unroll your mat, and enjoy your time in class. You’ll find out that yoga will quickly become a second home to you!